Here is the trailer from the upcoming film “AUTOMATA”. The film is directed by Gabe Ibáñez, starring Antonio Banderas, Melanie Griffith, Dylan McDermott. Millennium Entertainment will release AUTOMATA in theaters and OnDemand October 10, 2014. What a lineup of comical genius. 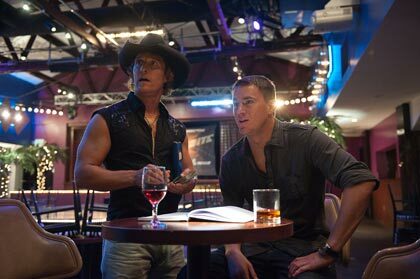 Director Jay Roach could not have directed a better crew to headline this hilarious off-the-beaten-path, laugh out loud flick. 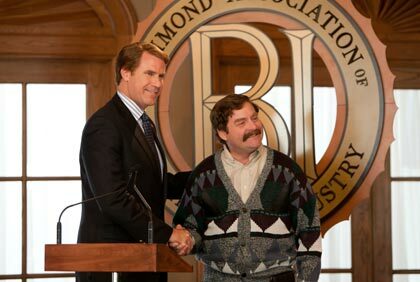 Will Ferrell, Zach Galifianakis, Jason Sudeikis, Dylan McDermott, and comedic veteran Dan Aykroyd, just to name a few, seemingly had nothing to lose because they ventured out on the deep end with this one and really laid it all on the line for this often rude, very rowdy and hysterically raunchy comedy that happily takes a jab at the current sad state of American politics. With such a current and tempting target (our Elections process), it is not surprising that this sarcastic and funny film has more material than it needs to produce side-splitting laughs. Roach’s approach should bring no surprise, considering that he has mostly directed off-the-wall comedies such as the Austin Powers films and Meet the Parents and is well positioned to satirize the institution, comedy-wise. There are lots to like and quote about this movie; However, I especially liked the truism that the movie takes from former presidential candidate Ross Perot who so memorably is quoted as saying, “War has rules, mud wrestling has rules, but politics has no rules.” It could be said that things have only gotten worse since then and we are presently witnessing more and more of the ruthlessness of the current campaigning candidates today.